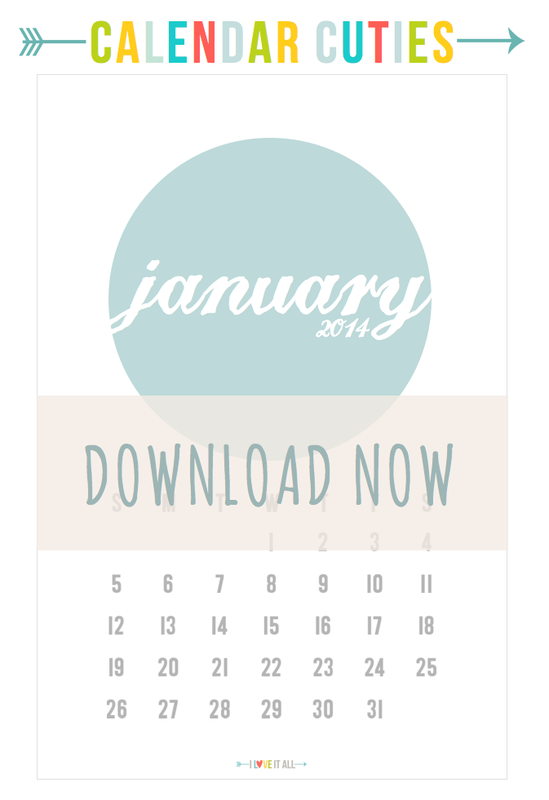 Let's get ready for the New Year with the January 2014 Calendar Cutie! These printable downloads are perfect to add to your Project Life albums, a scrapbook layout, print and pop into a 4x6 frame for your desk or just hang it on the fridge with a sweet little magnet. You could even washi tape it to the filing cabinet at work! I hope you continue to enjoy using the monthly calendars and if you're ever in need of a past calendar, just do a search for Calendar Cuties in the Search box in the right sidebar and print what you need. just printed mine...i always see you make these but have not downloaded before...thought I'd use them in PL and maybe put together a planner of some sort, though I'm more of an electronic planner kinda gal...anyway, when I printed it, it's smaller than 4x6...did I do something wrong? Be sure that you save the file to your computer and print from that document, not from the Preview. Also, be sure that your printer settings are printing at 100% on an 8.50x11 size of paper or cardstock, some printers scale the printing to a reduced percentage.